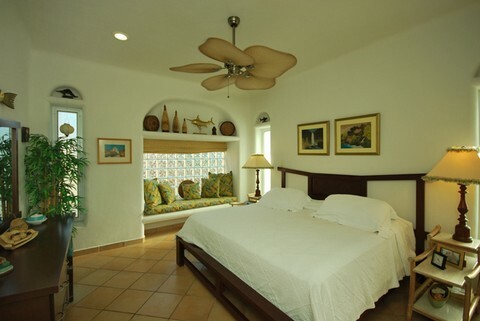 Brisa Del Sol Naciente (G201): This apatment is ideal for tropical, open air living, with cooling breezes coming thru the eight sliding glass doors facing the Caribbean. The open floor plan connects the kitchen, dining room, living room and 28 foot balcony. 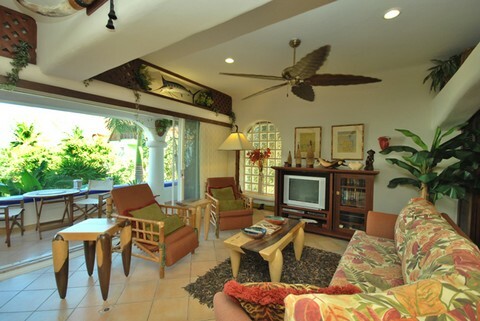 This living area is spacious and airy, with ocean views from this entire room. 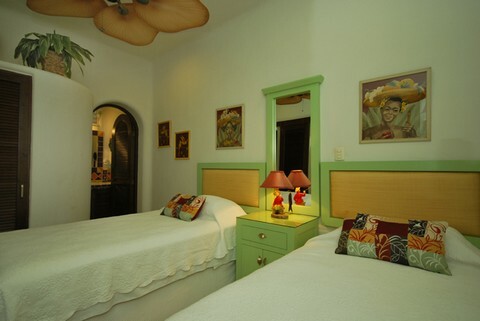 The furnishings are custom hand crafted and carved of mahogany and tropical hardwoods. Casual island style bamboo and teak pieces are mixed in. 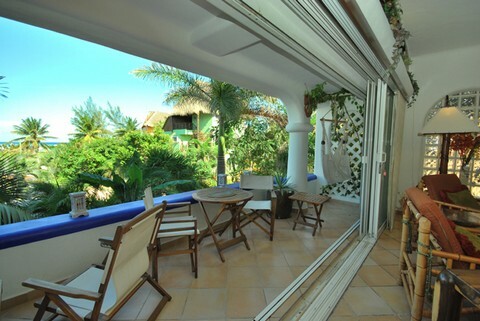 The balcony is furnished with a teak breakfast table and chairs, lounge chairs and a rope hammock. 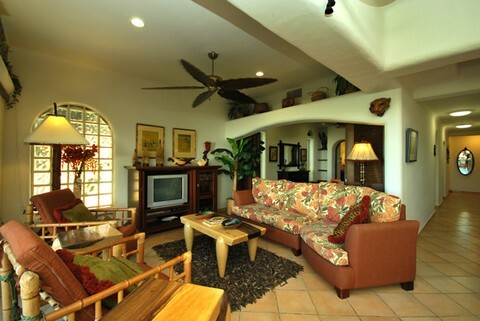 The living room has a dramatic 8 foot ceiling fan with mahogany banana leaf blades, also a closed entertainment center with satellite TV, stereo, CD and DVD players. The dining room features a large antique crystal chandelier and comfortable leather club chairs perfect for relaxing after meals. The bedroom furniture is also hand crafted with top quality pillow top mattress and has a large tropical fan. 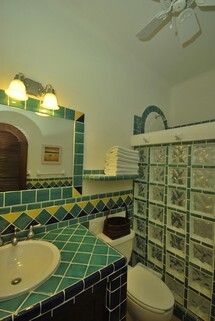 Each of the three bedrooms has a private Talavera tiled bathroom. 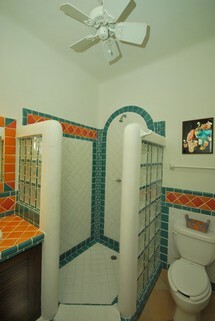 Two baths have walk in showers and the guest room has a tile tub with shower. The Kitchen has stainless steel appliances, features brilliantly colored Talavera tile counter tops and walls, and is well equipped with. 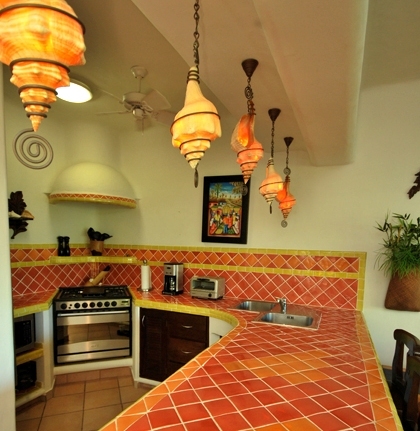 There is a large bar with hanging sea shell lighting made by local artisans right here in Playa Del Carmen. 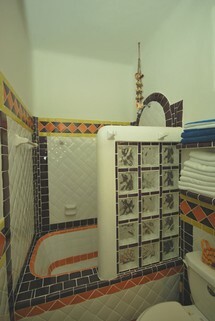 The property has a beautifully tiled, large swimming pool, walkways with lush tropical landscaping, running streams and waterfalls. There is off street parking, although you do not need a car to get around Playa. 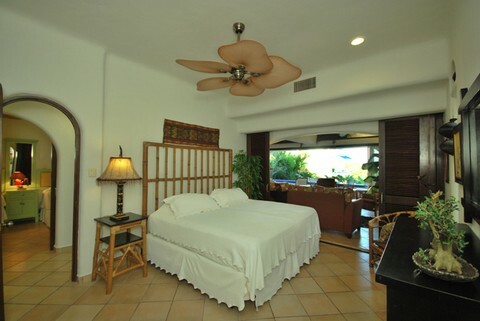 High 2012 Jan 09 – Apr 30, 2012 $ 1,975 usd. Value 2011 May 01 – Dec 14 $ 1,500 usd. 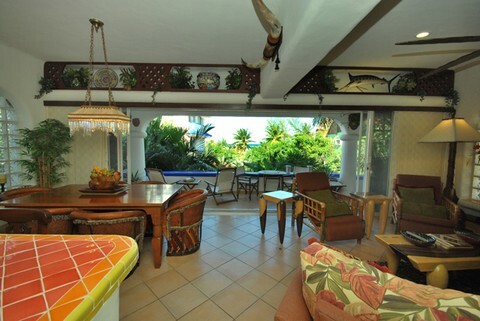 Dec 15, 2011- Jan 08, 2013 $ 3,000 usd. 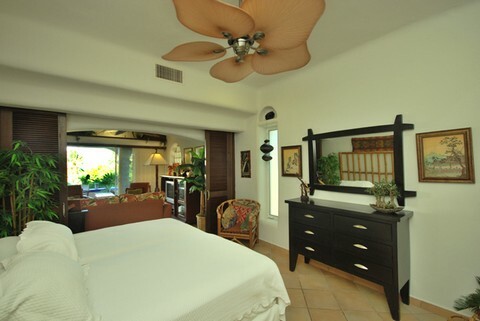 High 2013 Jan 09- Apr 30, 2013 $ 1,975 usd.